*Editor’s Note: The authenticity of this car has been challenged since this article was published, any prospective buyers need to do comprehensive due diligence before bidding. We recommend contacting Alan Mann Racing as a starting point, it appears that some of the body panels and possibly the whole shell has been replaced. Let’s imagine that the year is 1966 and someone gives you the choice between a Jaguar E-type or a Ford Lotus Cortina? Thinking about it, the Cortina has better boot space than the E-type, and it has five seats, so you could get your wife and two or three children all packed in for a nice holiday by the seaside. It would be less expensive to insure, and less expensive to feed petrol into. So the choice is obvious: you’d have gone for the Cortina right? Wrong of course. The E-type: described by Enzo Ferrari as “The most beautiful car in the world”, was THE CAR to own, especially in Britain. The E-Type was the car of dreams just as the Concord was the aircraft of Britain’s vision for the future. So what could make a Lotus Cortina more attractive than an E-type? Thereby hangs a mysterious tale. 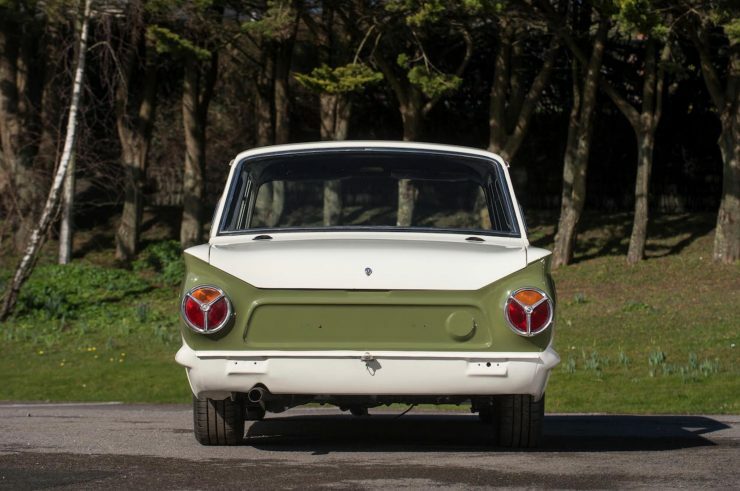 The Ford Cortina was a car that had more design technology put into it than its rather conventional, almost boring, external appearance would hint at. Ford of Britain’s Chief Body Engineer was Australian Don Ward and he had the vision that the future of motor cars was to involve lightweight unibody construction, and so he had set up a state of the art structures laboratory so that Ford of Britain would be able to create some of the most advanced unibody designs possible. Thus it was that when engineer Dennis Roberts returned to Ford there was an existing facility ready for him to apply his skills and knowledge. 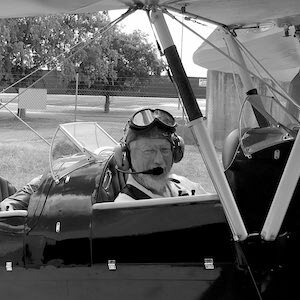 Roberts had spent his years away from Ford in the aerospace industry, working on designs for helicopters and supersonic aircraft, and so he had acquired a deep understanding of stress engineering applied to aircraft. At Ford he was tasked with applying his knowledge to improving the design of the new Ford Cortina unibody, he imbued it with lightness and strength that belied its rather conventional outward appearance. This work was to lay the foundation that would help the Cortina to become a great success on the race track and in rallying. The Ford Cortina made its debut in September of 1962 and was marketed as an inexpensive and economical family car. However, Ford understood the value of motorsport success in marketing motor cars, and rival car maker BMC had by that time not only introduced their Mini, which had become a trendy fashion icon, and the Mini Cooper performance version had been introduced exactly one year before the Cortina, in September 1961. Lotus Cars had a history of using Ford components in their sports cars and so had a friendly relationship with Ford in the UK. 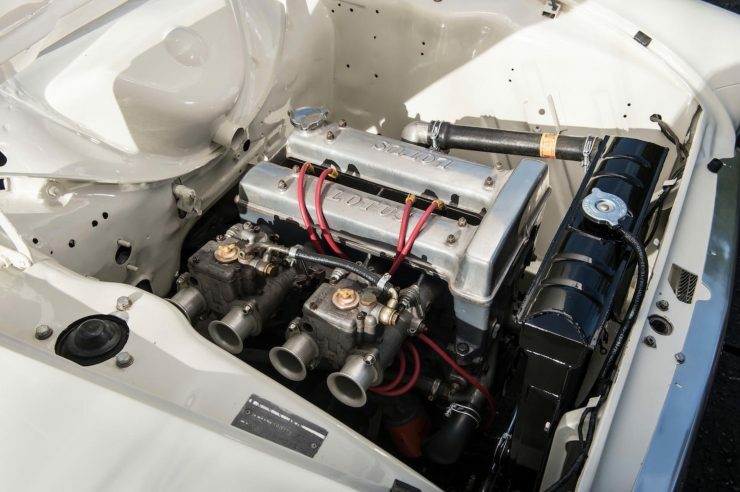 Colin Chapman of Lotus had already commissioned an engineer named Harry Mundy to create a sporting twin-cam version of the four cylinder Ford Kent engine with the view to fitting it in the Lotus Elan. The development work on the Ford Kent engine left the camshaft in its original position but only used it to drive the distributor and fuel pump. The additional two cams were placed in the completely new cylinder head. Ford progressively increased the size of the Kent engine during the time Harry Mundy was working on it with the final result being a 1,557cc engine, purposely kept just under the 1.6 liter limit for the Group 2 class. It was during this period of engine development that Ford’s Walter Hayes asked Colin Chapman if he could take on the job of creating 1,000 Lotus versions of the Cortina which would be fitted with that newly developed twin-cam Lotus version of the 1,557cc Kent engine to achieve Group 2 homologation. Colin Chapman accepted, despite him then needing to expand production capacity at Lotus to build these cars in the time frame necessary. Colin Chapman was something of a maven at car suspension and when he took on the job of making a race and rally car out of the humble Ford Cortina he realized that the suspension was going to need a complete overhaul if the car was to carry any Lotus badging. That he would think it needed improvement is not surprising. The rear suspension of a standard Cortina was a live axle with leaf springs which would prove adequate for taking the wife and kids for their seaside holiday: but not exactly something that should be found on a car bearing the Lotus name. The rear suspension was re-designed to be more like something you would expect to see if you looked underneath an Aston Martin. The leaf springs were removed and in their place were installed coil springs over shock-absorbers, with trailing arms to help provide positive axle location. Added to that was an A-bracket with the apex of the “A” attached to the differential housing and the arms of the “A” extending forward and attached to the body near and below the supports for the trailing arms. These modifications necessitated reinforcing bracing behind the rear seat and behind each wheel well, which meant that the spare wheel had to be relocated to the left side of the boot floor. The battery was also relocated to the boot to improve weight distribution. 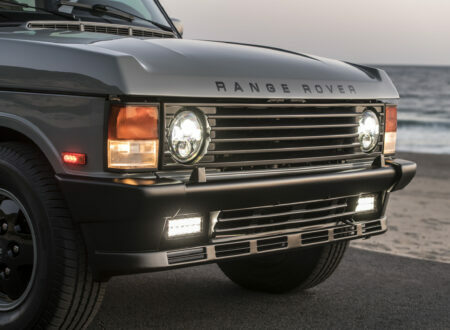 The changes to the front suspension were far more conservative and included forged track control arms and shorter struts. 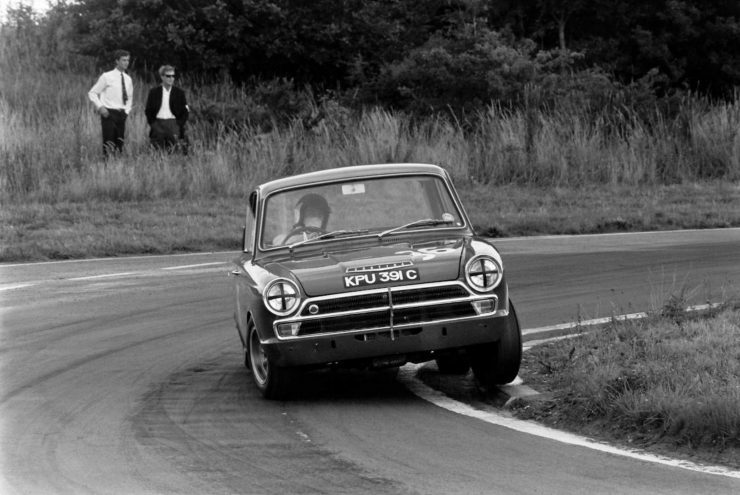 Brakes for the Lotus Cortina were servo assisted 9.5″ Girling discs at the front and drums at the rear. The body of the first version of the Mk1 Lotus Cortina featured lightweight alloy door skins, hood (bonnet) and trunk (boot). 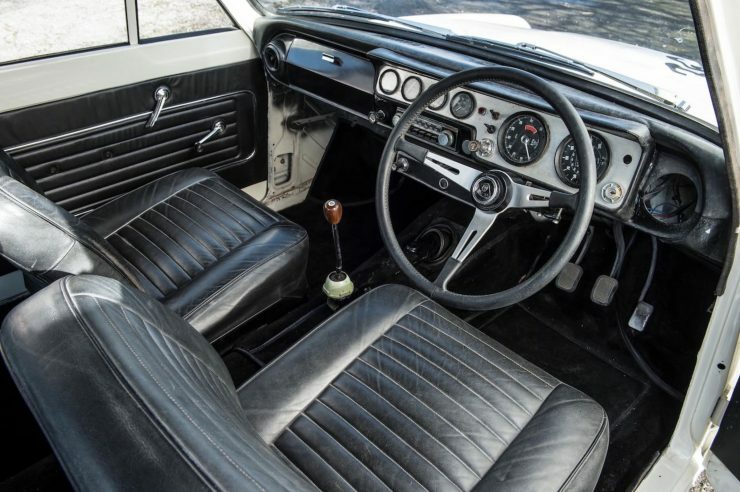 The interior of the car was also made more purposeful and sporting with a revised instrument panel complete with tachometer and a wood rimmed alloy steering wheel. 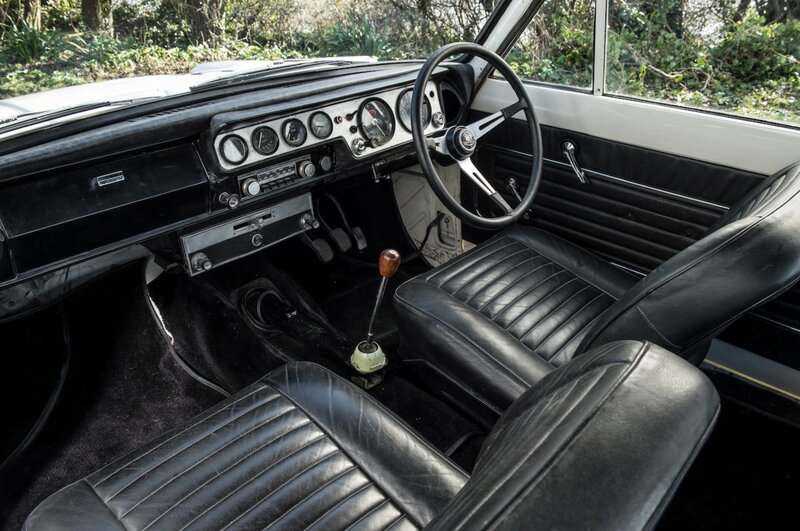 Seats for the Lotus Cortina were leather rather than vinyl covered. The beginning of the journey of the Lotus Cortina Mk1 to becoming an icon of British motorsport began shortly after the first 1,000 cars were built to achieve homologation in September 1963. In the same month two Lotus Cortinas were fielded at the Oulton Park Gold Cup and placed 3rd and 4th; behind a couple of 7 liter V8 Ford Galaxys, but cheekily ahead of the Jaguar 3.8 liter saloons. Three competitive teams were organized to field the cars: for Britain it was Team Lotus, and for Europe it was Alan Mann Racing, with Ford taking care of things in the United States. In 1964 the Alan Mann Racing team achieved 1st and 2nd in the “Motor” Six Hour International Touring Car Race at Brands Hatch and a 4th in the grueling ten day, 4,000 mile Tour de France, winning the handicap section also. The car’s also took podium honors in Austrian Saloon Car Championships, Swedish Ice Championship, South African National Saloon Car Championship, and the “Wills” Six Hour in New Zealand. As we noted earlier the original design of the Cortina unibody had been quite sophisticated and there was no superfluous metal in it. 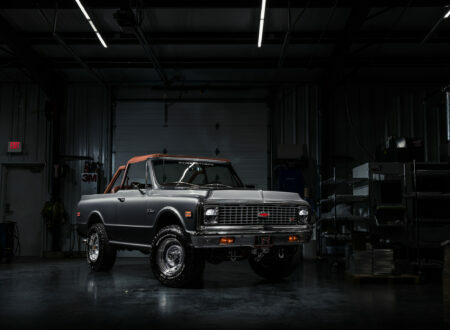 The upshot of this was that the relocation of the suspension forces from the original leaf spring supports to the shock-absorber supports in the body led to overloading of those parts of the body with resultant failure. Added to that the A-bracket applied forces to the alloy differential housing that were too much for it and so they began failing also. Changing over to the conventional differential housing and moving to a two piece propeller shaft only helped a bit. Results from dealerships and competition users all pointed to the need to redesign the rear suspension. Ford already had a GT version of the Cortina in production and it was decided to do away with the Colin Chapman design and use the Cortina GT suspension instead. 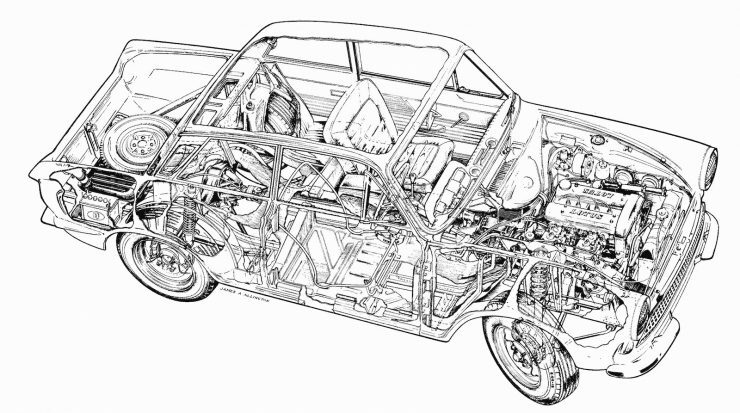 The Cortina GT rear suspension used conventional leaf springs, which would transmit suspension loadings to the unibody in the way it was designed to be loaded. The rear axle was positively located by radius rods and this proved to be as effective as the complex Lotus style suspension, and much more durable. 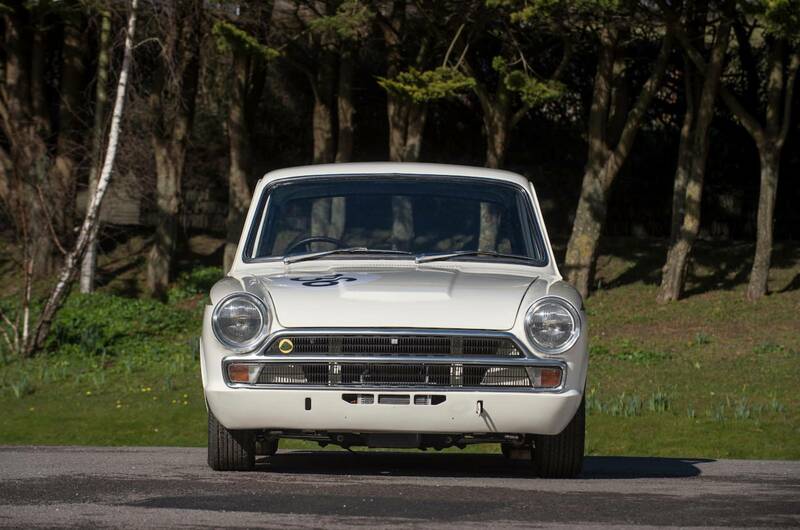 A revised Lotus Cortina made its debut in October of 1964 although the change to the Cortina GT rear suspension with leaf springs and radius rods did not happen until July 1965. Late in that same year the gearbox was changed over to the one being used on the Ford Corsair V4 and this proved to be far better for road use, providing a much better spread of gear ratios. 1966 was the year that the Lotus Cortina was finally exported to the US, with the improvements made to the car it was safe and viable to do so, and Lotus achievements at Indianapolis had established its name sufficiently to ensure buyer demand. 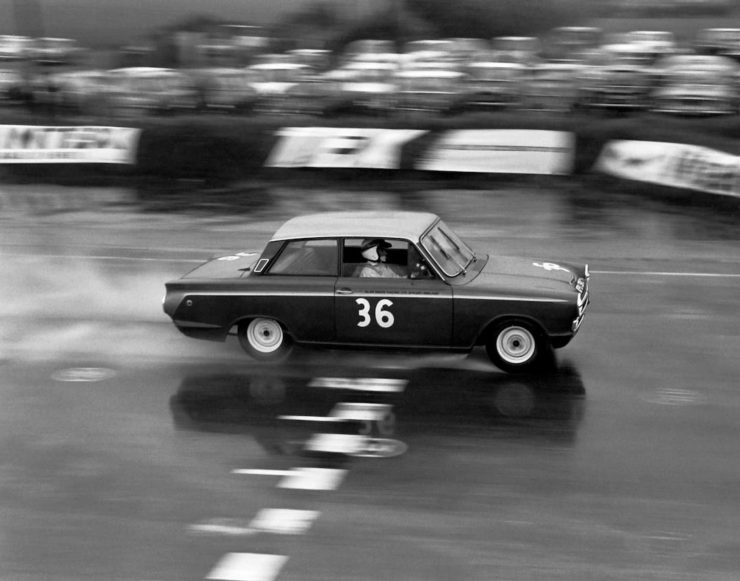 1966 was also to be the last year for the Lotus Cortina based on the Mk1. It was in 1965 that Alan Mann Racing received a number of Lotus Cortinas from the batch of seven known as the “KPU” cars: so named because of the first three letters of their British registration numbers. Among these were chassis numbers BA74EU59029 which was raced under registration number KPU 392C, BA74EU59032 which raced as KPU 390C, and BA74EU59035 which was raced under KPU 391C. These cars featured the revised leaf spring rear suspension which made them more durable than their predecessors, and which did not impede their speed around the race-track. This was evidenced by Sir John Whitmore’s performance in the European Touring Car Championships in KPU 392C, which he won. These cars were also repainted by Alan Mann Racing in the Ferrari Rosso Red and gold livery he decided on that year to make his team cars stand out. Prior to that the Alan Mann Racing cars were left in the standard Lotus white with a green flash along the side. Sporting their new Ferrari Rosso red and gold paint job the Alan Mann cars were easy to distinguish on the track. These “KPU” Lotus Cortinas were kept busy; the Belgian Saloon Car Championships was won by Jacky Ickx, and in the British Saloon Car Championships Jack Sears won his class. 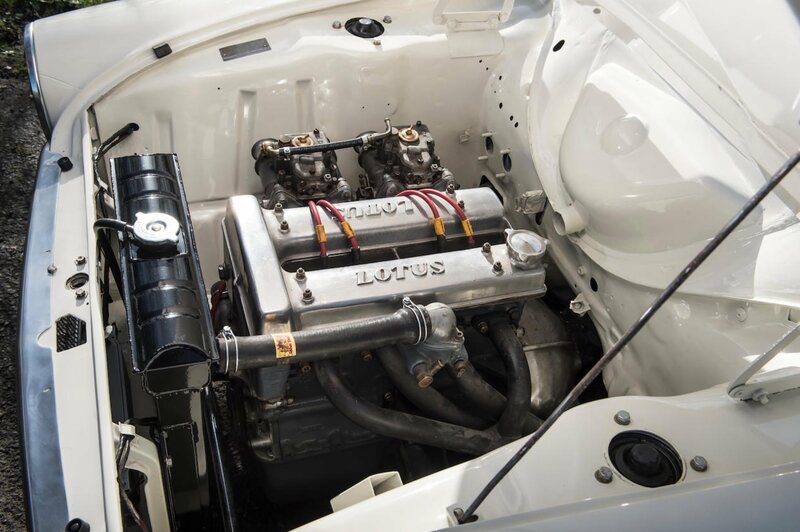 The successes continued into 1966 with regulations having been changed to permit dry sump engines and fuel injection with the result that the Lotus twin-cam engine was churning out 180bhp. The cars also had revised front wishbones and coil springs over shock-absorbers instead of MacPherson Struts. In these cars Jim Clarke scored eight class wins and Sir John Whitmore four. 1966 was to be the last year for these “KPU” cars and they were sold off to private individuals who would commonly use them for racing or club competition. They were racing cars, with perspex side and rear windows, and they had racing modifications not found on the production Lotus Cortina made for road use. So it was that KPU 391C was sold, and it went on a Passage de Carnet overseas. Back in the 1960’s there was no real thought given to the historic value of the cars that were being raced. What mattered was winning races, and the cars were simply the vehicle to achieve that purpose. Once a car had fulfilled its purpose it was sold on to someone else and forgotten because there were new cars, and new races to win. KPU 391C passed from racing, to club competition, and then, like most old racing cars, quietly faded away into obscurity. What tended to ensure it would disappear was that another KPU car was sold with license papers that said it was KPU 391C, whilst the car that bore the chassis number BA74EU59035, the car that Alan Mann Racing had raced painted with KPU 391C, but whose license papers identified it as KPU 388C, went overseas. Many decades after 1967 a guy named Guy decided to put his E-type Jaguar up for sale and was initially somewhat bemused by being contacted by a gentleman from Norfolk who suggested a swap: his Lotus Cortina for Guy’s E-type. Guy had the sense not to laugh hysterically but continued the conversation to find out about this Lotus Cortina and why its owner thought it was worth so much. The gentleman from Norfolk gave Guy the details of the car, including the chassis number, which happened to be BA74EU59035, and the car’s registration details identifying it as KPU 388C. 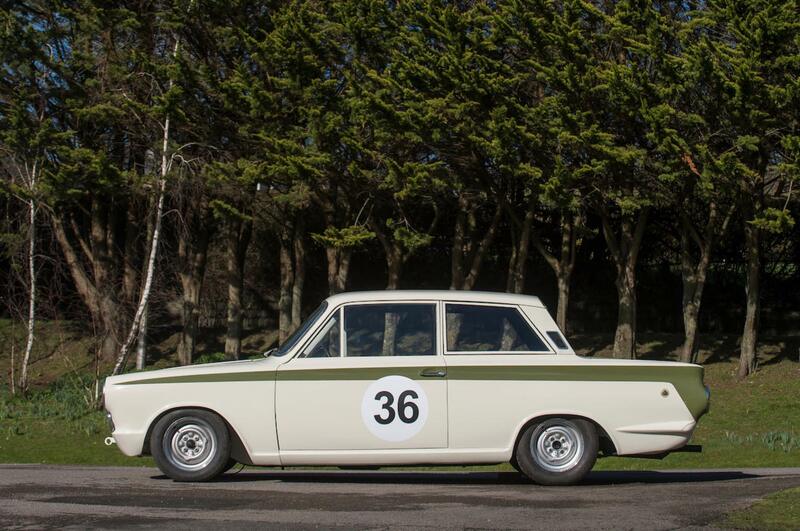 The Lotus Cortina had been restored and was painted in the factory standard white with green side stripe. Guy could have dismissed the car as interesting, but not one to pursue, but it had caught his interest so he decided to do a bit more research. As so often happens in life, a path that’s worth pursuing doesn’t necessarily look worthwhile at first. 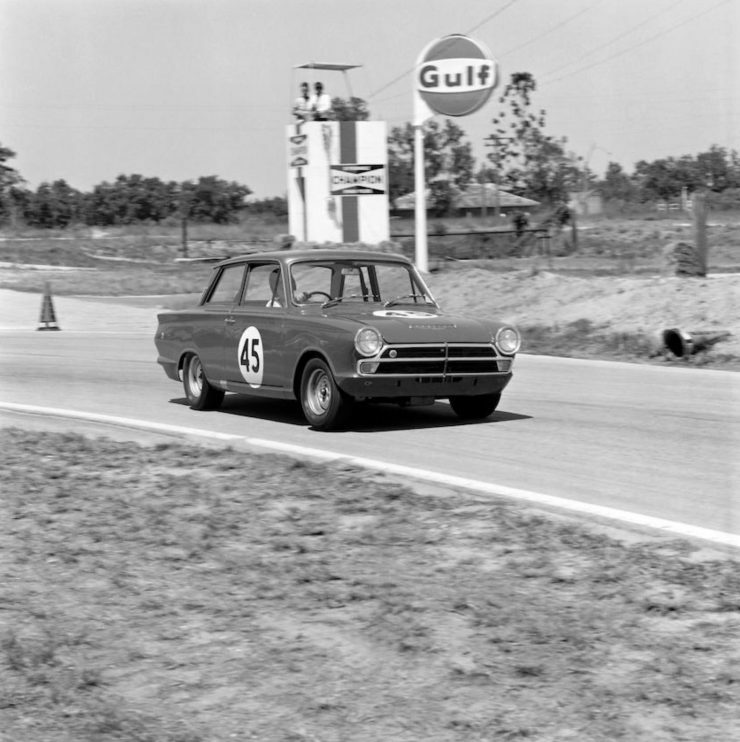 The “KPU” cars when first made numbered about thirteen and were pre-production versions with the Cortina GT leaf spring and radius arms rear suspension: these cars were distributed between Ford’s racing team, Lotus, and the Alan Mann Racing team. 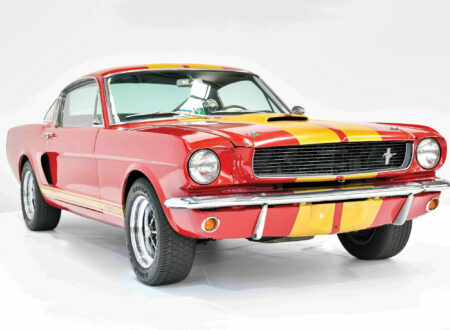 Guy did the obvious and contacted Classic Ford Racing first only to draw a blank, they had no records about those cars. so after a lot of internet scrolling, phone calls and chatting to industry contacts Guy’s next port of call was Alan Mann Racing, hoping that they may be able to throw some light on the cars history. Guy emailed Alan Mann Racing and heard nothing for a whole 24 hours, so he decided to try a phone call and found himself talking with none other than Henry Mann, the son of Alan Mann. 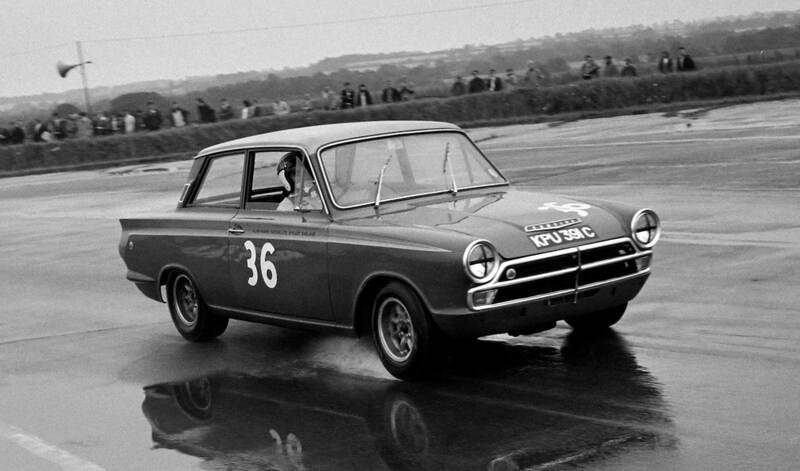 Henry Mann had been a racing driver and had campaigned an Alan Mann Mk1 Lotus Cortina and a Ford Mustang. Henry Mann had read Guy’s email and was both interested in Guy’s request, and willing to help him. Henry Mann asked Guy to do something a little odd: he asked him to get a photograph of the area of the car under the rear seat. Guy had not actually traded his E-type for this car yet and he told Henry Mann that, but he contacted the car’s owner and asked him for some pictures such as of the front suspension, and under the rear seat also. When the pictures came back Guy forwarded the one of the area under the rear seat to Henry Mann and followed up with a phone call. 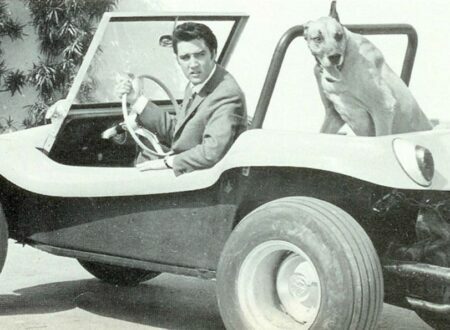 Sure enough he confirmed that the Lotus Cortina indeed looked to be an Alan Mann Racing car, it featured an undisclosed modification under the rear seat, and no, Henry was not going to tell Guy what that tell-tale modification was! Still thinking he was confirming that this was KPU 388C Guy asked him if it was and to his surprise he was told no it was not: the chassis number BA74EU59035 actually matched the famous KPU 391C, a car that had been campaigned by Sir Jackie Stewart, Jacky Ickx, Frank Gardener, Peter Procter, Lucien Bianchi, and Sir John Whitmore. But the list of motor racing royalty didn’t stop there with the car having also been raced by Bose Ljungfeldt, Hubert Hahne, Paul Hawkins, Frans Lubin, and Richard Atwood. 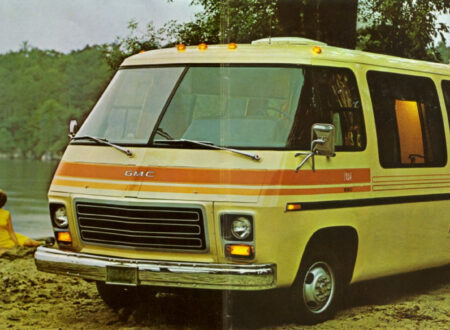 It had been driven by some of the most famous drivers of that era. The problem, Henry Mann explained, was that there was another car out there which has the registration number KPU 391C: but, that car did not have the chassis number of the car Alan Mann Racing raced in 1966 as KPU 391C: the car that was raced as KPU 391C bore chassis number BA74EU59035. “Are you certain?” Guy asked, to which Henry Mann replied “Without doubt, we have all the historic race documentation here at Alan Mann Racing, you’re more than welcome to come and look over them.” That was quite an offer and Guy got himself over to Alan Mann Racing just as quickly as avoidance of speeding tickets would allow. What unfolded before his eye’s was exactly the information Guy needed to see: historic race documentation, race entries showing track, driver, registration number, and more importantly, under the FIA’s new rules for the 1966 season, chassis number. Guy happily read his way through page after page of historic paper work. Most significant to Guy’s search were the letters from Ford Racing to Alann Mann Racing stating that chassis number BA74EU59035 was registration number KPU 391C. That was enough for Guy, and he acquired the car. The identifying of the car was not instantly accepted by those in the Lotus Cortina community, it seemed like such an unlikely story. Guy finished up taking the car to Alan Mann Racing for them to give it a thorough inspection in an attempt to confirm or deny the car’s true identity. The car emerged from its inspection with confirmation that the VIN number matched their records for the car that raced as KPU 391C. What also emerged was that the car had experienced a hard life and a lot of the original parts had been replaced. Nonetheless the VIN number matched their records of Alan Mann Racing cars, and the front suspension looked to be original, including front suspension arms being stamped Lotus SE (Special Equipment) along with KPU 391C in the same Font and Size stamping, indicating their originality. The car also exhibited the Alan Mann Racing modified rear floor panel, so it looked like this was what was left of the original KPU 391C, but that it had been repaired with various other parts over the years. She had had a hard life indeed, but she was still in existence and not rusting away as a forgotten hulk in a wrecker’s yard. With the identity of the car’s VIN confirmed as what had originally been the car that was raced with the registration number KPU 391C the mystery remained as to how the registration papers for the car matched chassis BA74EU59035 to registration number KPU 388C, it was concluded that registration number KPU 391C was probably put on chassis No 035 by mistake: that mystery remains unsolved. Having the car formally recognized was going to require more documentation than had already been obtained. Guy began communications with the British Driver and Vehicle Licensing Agency (DVLA). Because all the “KPU” cars were originally registered at Chelmsford, Essex County Council Registration, Guy sought, and obtained a photostat copy of their records for the cars. 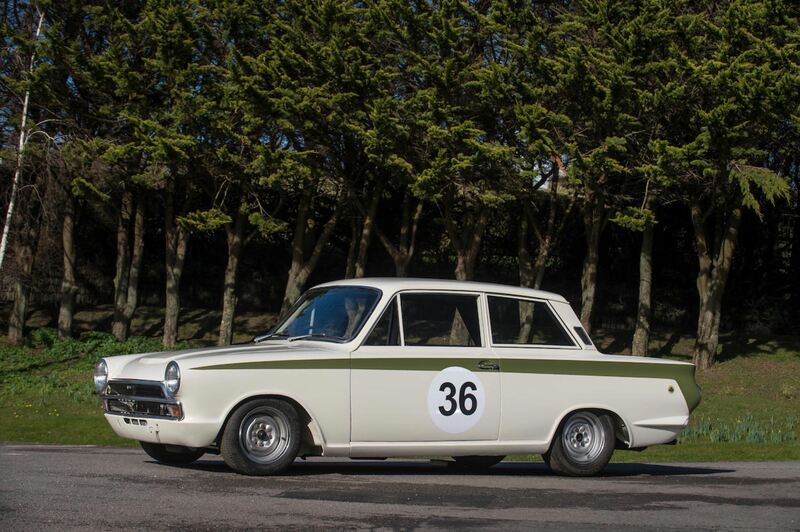 This served to confirm that although Alan Mann Racing and indeed Ford Racing had believed that chassis number BA74EU59035 was KPU 391C, its DVLA registration had actually been KPU 388C: so, someone had made a mistake somewhere. After some persistence the DVLA agreed to send an independent inspector to examine the car and his examination proved conclusive. Alan Mann Racing issued a letter stating that VIN BA74EU59035 had been an original Alan Mann racing car and that VIN matched the car that had raced as KPU 391C. Thus it is that it turned out to be worthwhile for Guy to trade a Jaguar E-type for a Ford Lotus Cortina Mk1, despite that looking to be an unlikely a prospect at first. A tale of mystery that is perhaps better than an Agatha Christie or Sherlock Holmes thriller because nobody got murdered as they do in thriller fiction: but instead a historic racing car with VIN BA74EU59035 was discovered, identified, and will be preserved for future generations to appreciate. The old saying says “shoes are meant to be worn”, and we hope the car is used on the racetrack so that future generations will get to see her coming around a bend going full chat with a front inside wheel in mid-air as she blasts past, and brings the past alive. 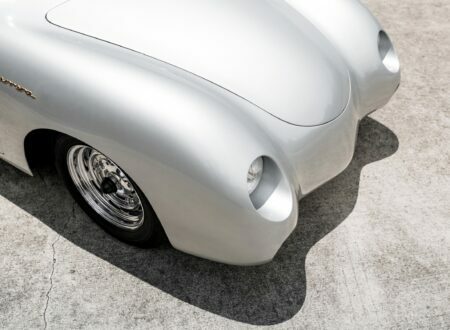 This car is coming up for sale by Bonhams on 3rd December 2018 at their London Olympia sale of Collector’s Motor Cars, Motorcycles and Automobilia. 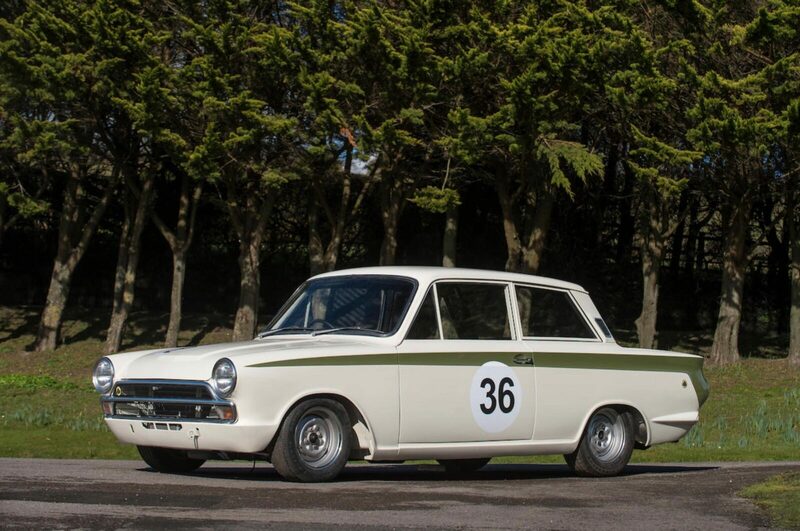 You will find the sale page for this historically significant Alan Mann Racing Lotus Cortina if you click here.